Introducing the Clan…the Vodraska family! In the next few posts I will give you a brief introduction to my family. Well, the members of my family who came from Bohemia/Austria and lived in the early days of Ellsworth County. Today, you get to meet the Vodraska family, at least a few of them! Joseph Vodraska is my great-great-grandfather. According to census records, he arrived in Kansas somewhere between 1875 and 1880. He came with his wife Anna (Pertl), his daughter Rose, and his son (wait for it…) Joseph. Their home village in Bohemia is a mystery to me. I have heard it was somewhere in Moravia, but a family member says it was somewhere in the Pilsen region. I don’t have any information on where they came from or when they arrived in the U.S. I do know the family spent some time in Ohio before moving on to Kansas. Joseph Vodraska my great-grandfather married Mary Bartunek (0bviously my great-grandmother) around 1893 and had ten children. 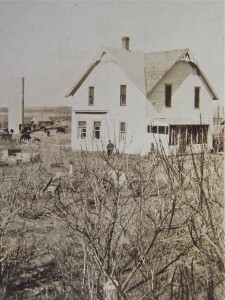 They farmed in Black Wolf, Kansas. The Vodraska children included Anton (died in WWI) , Joseph Herman (yep, you guessed it, another Joseph! ), Mary, Frank, Anna, Albina, William (died as an infant), Mildred, Alexander, and Alfred. Mildred Vodraska was my grandmother. She married Ralph Vopat on May 20, 1926. I will go into more detail on different family members in the future. I just plan on doing quick introductions for now! 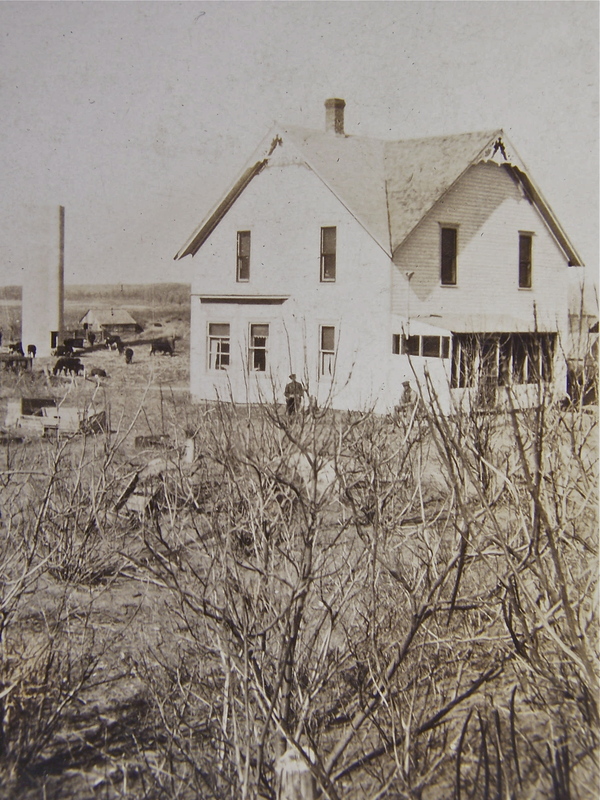 This entry was posted in Family History, Surnames, Vodraska and tagged Black Wolf, kansas, vodraska. Bookmark the permalink. One Response to Introducing the Clan…the Vodraska family! I am descended from Vopat (plural Vopata, and changed to Wopat). My ancestors came from the Plzeň (Pilsen) region of Czech Reublic and settled in Vernon County Wisconsin. Some went to SD which is where I come in. Good luck on your research! !